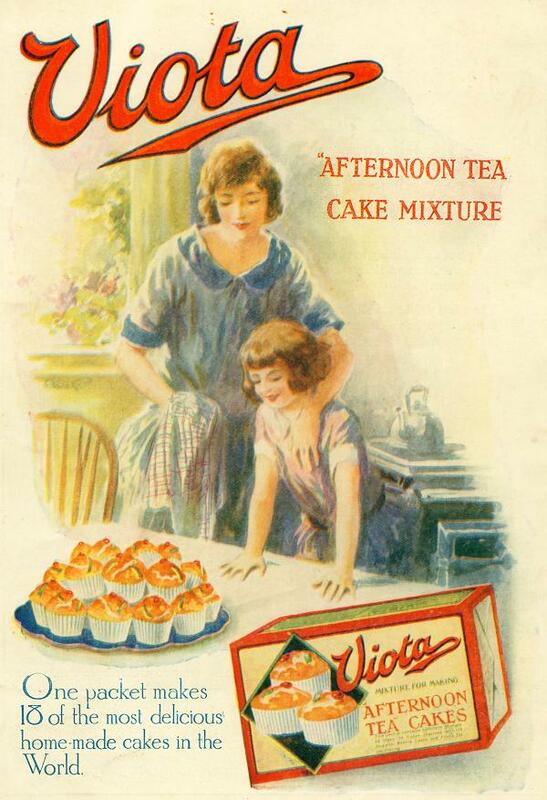 Viota "Afternoon Tea Cake Mixture". One packet makes 18 of the most delicious home-made cakes in the World. Hoping someone might know of my mum and nan. My mum was Judith belcher. My Nan Muriel belcher. My nana brother Percy Owen . My mum worked in a factory called viota. She was there for good few years. We lived at 1 wood sleigh cottages. My mum also was a horticulturist . She used to look after the gardens of a Mountbatten family. Any knowledge would be fantastic. My father (harry Ingham) worked at viota bromborough from the late 1970's until late 1980's. Sadly he died in 2012, but I would love to hear any stories. I remember Eddie Sankey and mentions of a lady called Kathy Parr who I think was a union steward . I would like to get in touch with any member of the Stoddart family. Our house is on the site of their home 'Tudor House' in Barnet. I worked At Viota between 1970/73, great times. Worked with Trevor Hughes and Eddy Sankey and met my wife Gillian there. Looking back I should have stayed longer, but pastures new and eventually retired 2004 from Vauxhall Motors. My grandfather Alfred Stoddart I believe to be the brother of Norman Stoddart. was the trevor hughes you refer to the engineering manager.if so he will know right away who basher harrison was. When I was an undergraduate student I had a summer holiday job at the Bromborough plant 1975-1977. This was via my uncle, Trevor Hughes, who worked there. I spent most of the time in the sections which made breakfast cereals, including muesli which went by a curious name like "P 63". It was run by a guy who appeared to have left half his fingers in a machine at some stage. I remember sweeping the huge room where the grain for cornflakes was milled and having to empty the massive cookers every so often when the pressure got too high - which was hardly a pleasant task in the heatwave of 1976. The epithet "basher Harrison" certainly rings a bell. Was he the Kevin I worked alongside and who, like many of his colleagues, couldn't really get his head round what students were about? My Great Aunt Floss married Mr Stoddart and they lived in an appartment next door to Edward and Mrs Simpson in London before moving to Brighton! If anyone has any information about Norman and the company, my son is doing a project on family history and we would be very interested to find out about the company.